Perched on the waterfront, right across the river from Manhattan, W Hoboken is perfectly placed for both work and play. You&apos;ll find our hotel in the heart of the Mile Square City, steps from great dining, exhilarating nightlife and noteworthy cultural attractions. 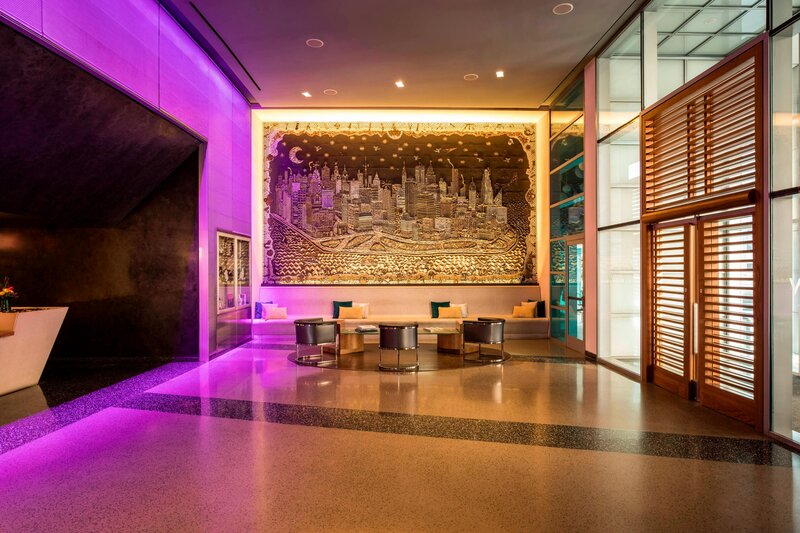 Stretch out in gorgeously designed rooms and suites, many of which showcase grand NYC views. 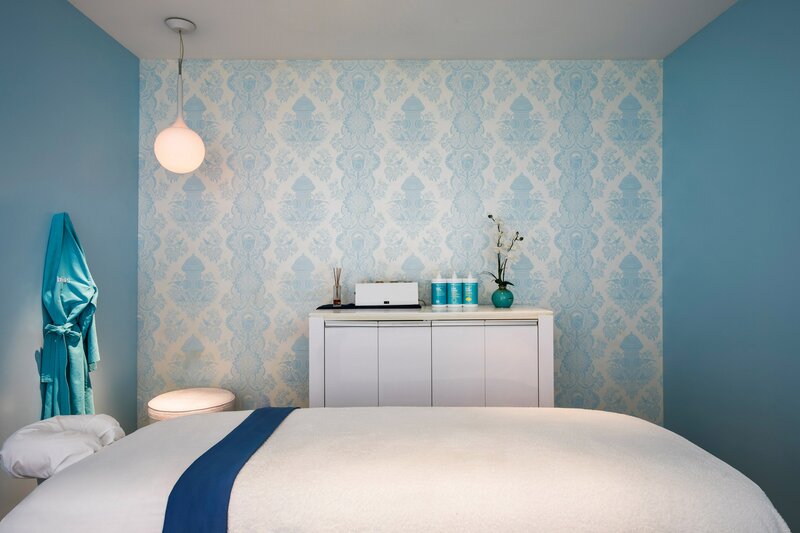 Plan a "me day" at Bliss® Spa, followed by a local, sustainable meal at Halifax. Break a sweat at FIT, our 1,520-square-foot hotel gym, which offers Hudson River and city views. 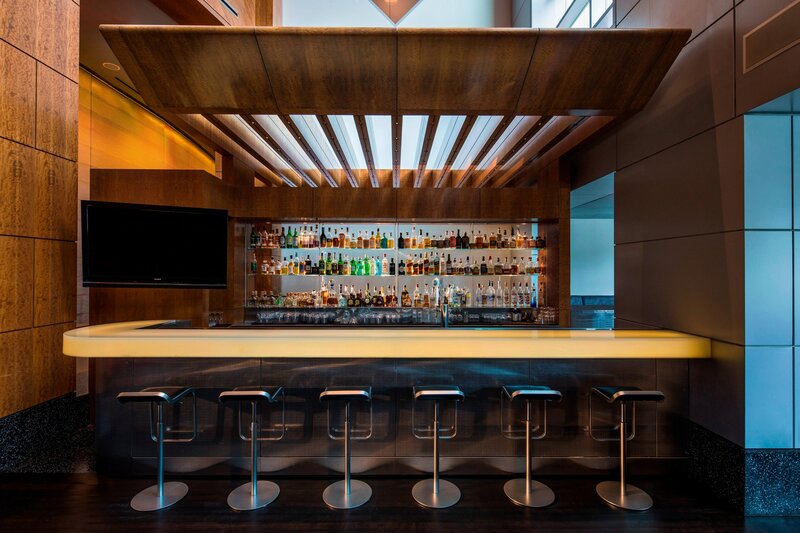 And cap off your evening with cocktails and conversation at The Living Room. If you&apos;re planning an event in the Hoboken area, you&apos;ll be captivated by our venues, which include the stunning Great Room and Lulu&apos;s Outdoor Patio. If you&apos;re in the mood to explore, our hotel offers close proximity to the PATH and NY Waterway Ferry, enabling you to visit the City that Never Sleeps with ease. We know you&apos;re going to love your stay at W Hoboken. Savor fresh, local and sustainable cuisine at Halifax. Named after Nova Scotia&apos;s capital city, our signature restaurant serves North-Eastern farm and coastal fare, helmed by Chef Seadon Shouse. Our beverage program highlights local producers as well. Step into the Living Room lounge to unwind over cocktails and conversation. 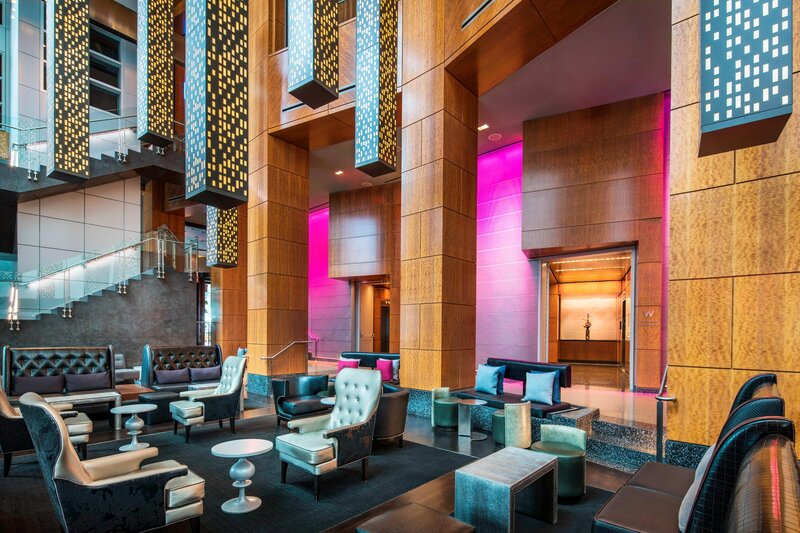 Amplify your Hoboken evening in our Living Room lounge - a modern take on the standard lobby bar concept with live music and an inventive cocktail menu. Take in the thrilling Manhattan skyline and sparkling Hudson River from a spacious and sophisticated suite with a sprawling private terrace. Let Bliss® Spa Hoboken help you achieve a higher state of happy, with 5,900 square feet of space including 10 treatment rooms for tension-taming therapies. Savor trademark Bliss touches— including a cleverly compiled menu of super-effective services, evocative rhythm and blues tunes and a legendary brownie buffet. Discover an urban oasis that remains firmly planted in the center of it all. Take advantage of the many things to do in the Mile Square City, proximity to Manhattan and nearby attractions like the Statue of Liberty, Liberty State Park and the Meadowlands.